The Kenai Soil & Water Conservation District has partnered with Kenai Feed & Supply to make its inventory of specialized farming equipment available to Cooperators and other Kenai Peninsula producers. On this page you will find information about the equipment, rental policies, and how to make a reservation. Rental Rate: $150/day. Requires 30+ hp tractor. Operator and Tractor: Ask for current rates. 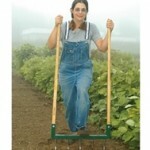 For planting all types of seed (cover crop, grass, forage) on a clean, prepared seedbed. Rental Rate: $125/day. 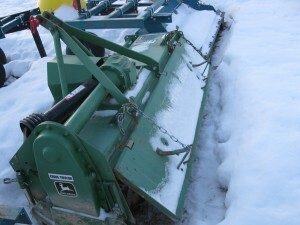 Requires 30+ hp tractor with PTO. Rental Rate: $400/day, $200/4 hrs. Requires completion of approved training and 60+ hp tractor with rear SCV/hydraulic controls OR an approved operator. 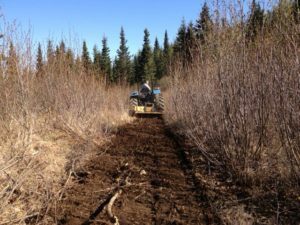 For preparing cleared land for planting, reclaiming old farm land, or maintaining trails. Crushes woody material not exceeding 4″ in diameter. 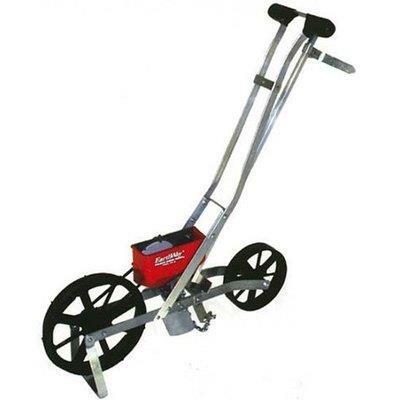 Should not be used in rocky soil or where heavy brush, trees or stumps are present. Rental Rate: $150/day, 2 day minimum. Requires completion of approved training and 40+ hp tractor with rear SCV/hydraulic controls OR an approved operator. 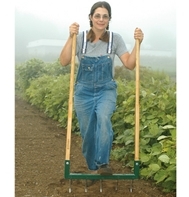 Re-seed or over-seed without tilling. 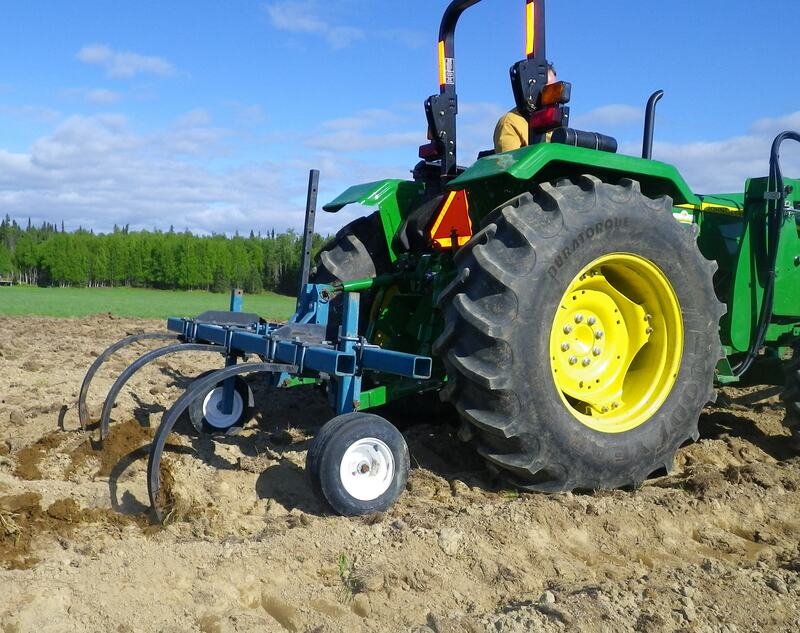 Double disc furrow openers and depth bands optimize seed placement and seed to soil contact. Multiple seed boxes give you flexibility to seed native fluffy seed, cool season species, small grains, legumes and wildflowers. Designed for use on smooth, level ground only. (On rough ground, you’ll get an uneven spray pattern and/or break the sprayer arms.) 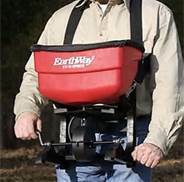 Battery-operated pump runs off your 4-wheeler or lawn tractor battery. 6.5′ x 12′ trailer with ball hitch contains propane stove, grill, refrigerator and small freezer. Suitable for value-added processing of fruit or vegetables, or for preparing and/or serving food at special events. Call District office at 283-8732 x5 for additional specs and rental requirements. 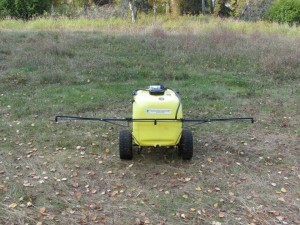 One sprayer is designated for herbicides and pesticides only. The other is for liquid fertilizer. 5-gallon capacity. Our broadfork was hand-made by Thomas Hart in Fairbanks. Deeply aerates while preserving soil structure and minimizing weed seed surfacing. 20″ wide. 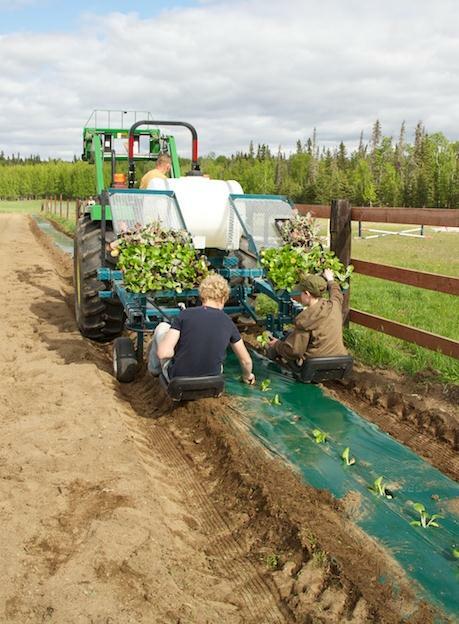 Allows you to plant a variety of seeds with one continuous operation of opening the soil, planting the seed, covering and marking the next row. 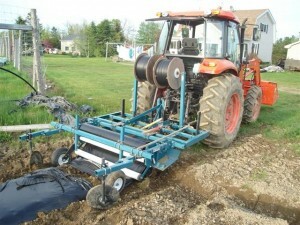 Adjusts to sow any kind of grass, cover crop or grain seeds. Comes with heavy-duty rain cover for use in inclement weather. 25 lbs. capacity. 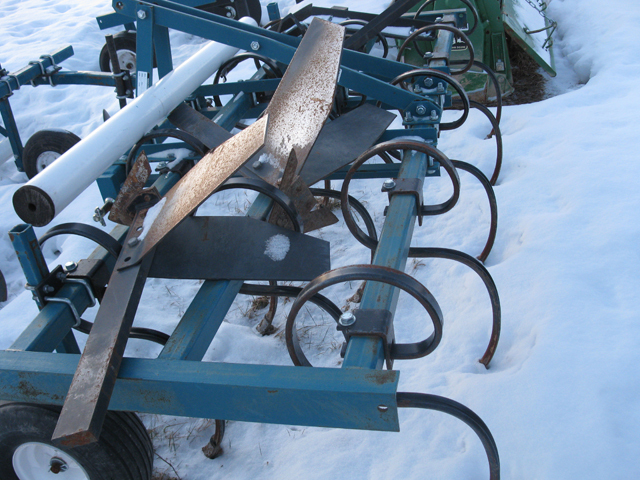 District Cooperators have priority when there are competing requests to reserve equipment on the same day(s). 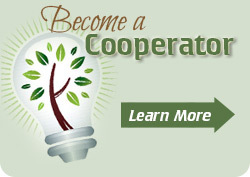 See Membership for information on becoming a Cooperator. 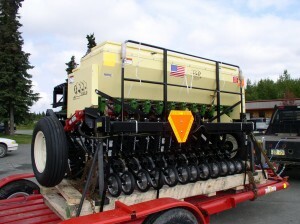 Equipment will be rented for use only on the Kenai Peninsula. Some equipment (e.g. 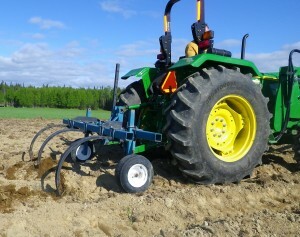 no-till drill) requires adequate tractor horsepower in order to operate. Please discuss with the equipment custodian prior to renting. A signed rental agreement and deposit are required prior to rental. Driver’s license and proof of insurance are required to rent any District trailers. The equipment will be clean and in working order when rented. It is the responsibility of the lessee to return the equipment in the same condition: clean and working. Cleaning fees will be charged on any equipment not returned clean of debris, mud, crop residue, etc..
Repair costs for any damage will be charged to the lessee after the equipment has been repaired, or charges will be assessed based upon estimated repair costs from a local vendor. Late returns will result in late fees. Call Kenai Feed to make a reservation: 283-1929. Kenai Feed is located at Mile 14.5 Kalifornsky Beach Road in Kenai. Who? Whether you grow flowers, forage, food or fiber, whether you're a farmer or support those who farm, whether you're into local food, or you're just curious, you're invited. Why? There's lots going on in the Central Peninsula when it comes to farms and local food and relatively few opportunities to share ideas and information and to build partnerships. The 2019 Local Food Directory! in soil and water stewardship"